On the fifth day of Christmas my true love gave to me… a glass of Limeburners Port Cask whisky. 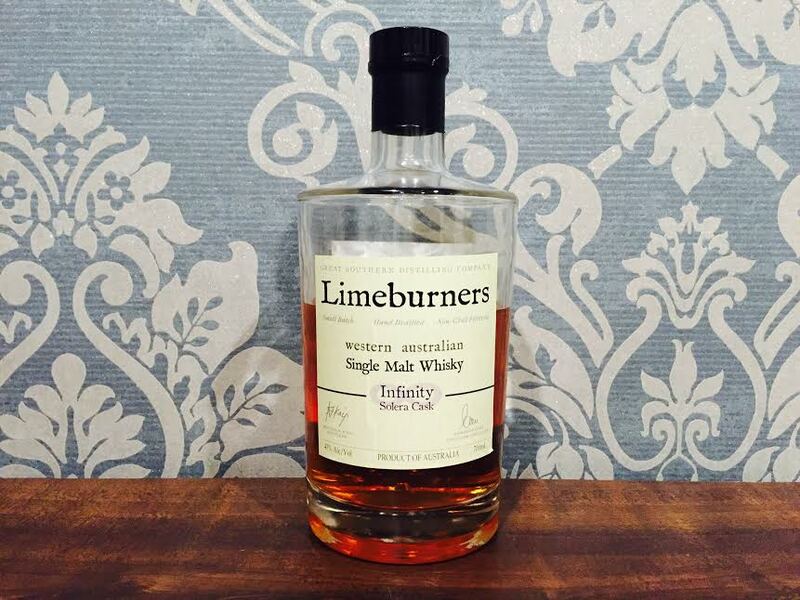 Crafted by Great Southern Distilling Co. at their Albany distillery in Western Australia (they also have a site in Porongurup that makes Tiger Snake Sour Mash Whiskey), the Limeburners takes its name from the nearby convict-built kilns that provided building lime during colonial times. This particular Limeburners edition starts off life in ex-bourbon American oak barrels before being transferred to Australian port casks for finishing. The nose has a funky ripe banana in caramel sauce vibe going on, while the mouth feel is dry and hot, with an alcholic spiced plum finish. The Port Cask would make a great accompaniment to a platter of fine local produce while camping on the beautiful southern coast of WA. The thing about the Australian Whisky scene is that we are unquestionably small-fry. It is a quantifiable fact that we produce less whisky per annum than Glenfiddich sloshes from its barrels. Size, or rather lack thereof, is the overriding factor in most Aussie distilleries’ tendencies to release single barrel expressions – they simply don’t produce enough product to have an alternative. This is great if you happened to own an unopened bottle of HH525 Sullivans Cove in 2014. If you did, I hope your new private yacht is treating you well. With this groundbreaking new technology (invented c.1790), distilleries are suddenly able to better define their flavour and ensure that a bottle you buy this year is (pretty much) the same as the one you purchase at a later date. One of the first distilleries in Australia to adopt the Solera technique is the wonderfully-named Great Southern Distilling Company based in Albany, Western Australia. They market their wares under the label ‘Limeburners’ and in their short history, have released some stellar drams. This particular release contains 8 year old whisky matured in several 500L South Australian port puncheons. The infinity name is appropriate, as the Solera system will always leave at least a teeny tiny fraction of these original whiskies in the mix. Eager to support the distillery, I stumbled upon this bottle’s first release on Dan Murphys and promptly blew my savings for the week. So what exactly is the Infinity Solera Reserve like? On the nose there are immediate traces of the port influence – ripe oranges dominate alongside zesty citrus and vanilla, bringing to mind cupcakes with lemon icing. The palate is complex – certainly not smooth, but well balanced with flavours of strawberry jam, honey and malt biscuits. In the finish I spotted hints of the bitter soapiness I sometimes detect in wine-matured whisky (yes, I know, this is port matured and therefore I sound crazy). However, this vague disagreeable note dissipates quickly and is replaced by an intriguing dryness which contrasts pleasantly with the initial flavours. Usually I find it pretty counterintuitive adding water to my whisky, but in the case of this one, it takes on a whole new character with a splash of H20. Suddenly, large dollops of gooey caramel dominate the palate and the flavours morph from undeniably Australian to slightly Speysidey.